Ruth worked as a salesperson for Grants, Woolworths, and Newberries in downtown Providence for many years before retiring in 1980. 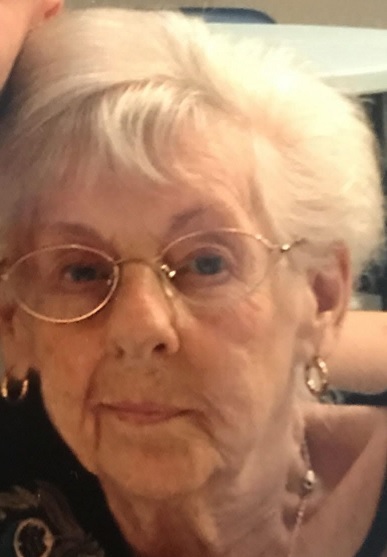 She leaves two daughters, Gloria Slater, and Patricia Marcello and her husband Edward, four grandchildren, Ronald Letourneau, Tammy (Letourneau) Pinheiro and her husband Joseph, Joseph Letourneau and his wife Lisa, and Russell Letourneau, 7 great grandchildren, and 3 great, great grandchildren. She was predeceased by her 10 brothers and sisters. A Mass of Christian Burial will be celebrated on Wednesday, January 23 at 10:00 am in Saint Gregory the Great Church, 360 Cowesett Road, Warwick, RI 02886. Burial will be private. Visiting hours are respectfully omitted. In lieu of flowers, donations to Care New England Hospice, 51 Health Lane Warwick, RI 02886 in Ruth’s memory would be appreciated.